When I was a child, my mother had 3 jobs – during the day she was a doctor; in the evenings she was a wife and mother; and in the wee hours of the day, she was running a sewing business. 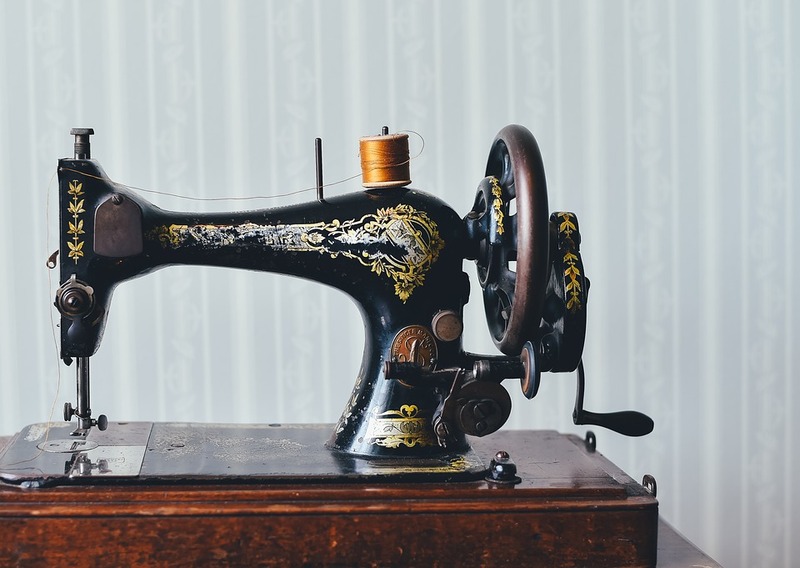 On the days that I woke up in the middle of the night, I’d walk straight to the study and find her bent over a sew machine or marking fabric that she’d subsequently cut for her tailors to sew during the day. Sometimes she’d send me right back to bed, her face stern; other times she’d put me to work with a seam ripper; on very special occasions, she’d break her concentration and we’d go downstairs and share a big bowl of oatmeal or custard. Even now, when I eat my daily bowl of oatmeal, I am warmed not only by the thick oats lining my insides, but also by the safety, contentment and love that I felt on those late night jaunts to the kitchen with my mom. My mom is the hardest worker I have ever known. People have always marveled at how relentless I can be around my work and how I can keep going past 2am – all night, if it was necessary. Even at 21, in my first year of banking, this lifestyle never fazed me, I had already seen my mother live it. And even now, way into her 60s, she leaves everything she has at her work desk – still waking up at 5am to complete reports, respond to emails and the like. I vividly remember having an aha moment one day as I watched my tired mom take a bath. The thought struck me that I was the key to: a.) an immediate solution for her not being so tired every day: I could organize my siblings so that we were better behaved and more responsible, then she wouldn’t have to remind us about the same things over and over again; and b.) a future solution: I’d grow up to be so rich that my mom would bath with milk and not water. The a-solution was a constant work in progress that I cannot say we ever really accomplished, and the b-solution was momentarily forgotten in my 20s, but I’m back on it. I wouldn’t be far off if I made the assumption that many of us are, and have been, doing the work of honoring our parents, ensuring that they reap the fruit of the headaches, sweat and sacrifice that they invested in us, ensuring that their latter is greater than, or at least, on par with their former. A friend once told me a teaching in Islam that I loved and held on to, it says that whatever you do for your father, you should do three times as much for your mother. I know this statement may be a bit controversial in this day and age, so I won’t explore the details, except to say that I understand the sentiment because I would do for my mother more than I would do for myself, more than I would do for anyone else (and having no children, I can confidently say this). I find pleasure in doing things for my mom because i.) she is overjoyed over the smallest of things; ii.) she won’t do for herself; iii.) she more than deserves it; iv.) she did, and continues to do, way more for me than I can ever repay – including that one time she bought us candy and treats, at Ace Supermarket, that was the equivalent of her 1 month salary. Last year on her birthday, when she was telling my dad about the gifts I got her (mind you there was no car included in the mix) she told him, “… when I entered the room, I fainted”. Last week, I gave my mom a copy of Michelle Obama’s book, Becoming, she jumped up and down three times, then held the book out like you would an award and said it’s Michelle’s book – exactly like a 5 year old would. Who wouldn’t want to be the child, whose actions elicit this sort of reaction from their mother. In the past when I did well, my mom would say, “Nnneeeooo”, now, she says uru nwa - the benefit of a child - it always makes me blush. My mother’s reaction to getting that book is something I never want to forget, it reminded me that some people really have the ability to retain an element of childlike purity within them; that the little things truly matter; that we can be happy if we choose to be; that our attitude towards things can magnify our joy; that I don’t have to be rich to seriously overwhelm my mom with happiness, joy and pride. Mostly, I wondered what I needed to do to live a life like Michelle Obama’s – no, not to be first lady of any country, but to be an inspiration and a light to people that they squeal in delight at the opportunity to hear from me about my life? I want to say be unapologetically yourself, live on your own terms, hold fast to the well-worn truths and wisdom that your parents gave you – but I haven’t read the book, this is just based on listening to the numerous interviews that she gave as first lady. The wildest part is that she, Michelle, didn’t set out to have the position that thrust her into the limelight and global prominence, but she was ready though! What are some of the little ways that you show up for your parents? Have you read Becoming? What did you think? I’d love to hear.